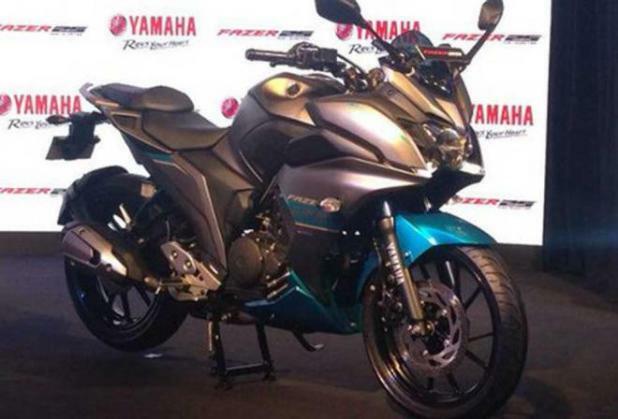 Yamaha India has launched the Fazer25 in India at a price tag of Rs 1,28,335 (ex-showroom, Mumbai). The motorcycle is the third offering in the FZ series and comes shortly after the launch of the FZ25, which was the higher capacity street-naked styled offering of the original 160cc version of the FZS. According to the company, the motorcycle is aimed at the 20 to 30-year-old riders and is meant for those who wish to undertake sport touring and want to upgrade to a higher capacity motorcycle. The Fazer25 comes with a 249cc single-cylinder engine that gets fuel injection and produces 20.9 PS of power and 20 Nm of torque. The engine is BS-IV emission norm compliant and the Fazer25 will be available in two color options – Soulful Cyan and Rhythmic Red. In terms of design, the motorcycle looks identical to the FZ25 from the back. It gets a new front fairing design which carries the all-LED headlights and also incorporates the LED position lights. Other features of the motorcycle have been carried over from the FZ25 which include the likes of a split seat, LED tail lights and the LCD instrument cluster. Unfortunately, the new Fazer misses out on ABS (Anti-Lock Braking System) just like the FZ25. The bookings for the Fazer25 have commenced across dealerships in India and deliveries are expected to begin in September 2017.